Irish lance corporal Peter Sands was shot as a deserter one hundred years ago today at Fleurbaix, near Armentières. 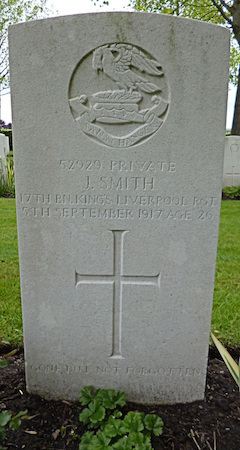 Sands, a nine-year veteran age 26 or 27, left the Royal Irish Rifles with another soldier on a home leave pass in February 1915 and returned to his family in Belfast. Sands had a pass for four days. Instead, he stayed for five months — openly living with his wife, and wearing his military uniform, until some unknown busybody turned him in as a deserter that July. He would tell his court-martial that he had lost his travel documents to return to the horrible front, and had been blown off when he visited a Belfast barracks to see about a replacement. He did not aim to desert, he insisted; “Had I intended to desert I would have worn plain clothes, but up to that time I was arrested I always wore uniform.” It is not so hard to reach Corporal Sands, psychologically — a man perhaps indulging a lethal opiate of denial. Suppose his “desertion” began with a good-faith mishap and thereafter did not last for five months, but just for one day more … day upon day. He had no pass, so what was he to do next? He stayed in Belfast with his wife and daughter wearing his service duds while he contemplated that question. (Who can say whether he contemplated it in bemusement or terror.) He stayed every day in March, and it became every day in April, and every day in May and June, too. Nobody came for him on any of those days. Had his war ended, then? Had he somehow slipped the toils of the machine back to a domestic idyll? Maybe he truly had … but for that anonymous snitch. Even if it had to be reminded of its prodigal corporal’s absence, His Majesty’s royal meatgrinder expected a little more hustle from its meat than one barracks call in five months: while Sands was at home, his mates had gone out of the trenches in the Battle of Neuve Chapelle (11,000+ British casualties), and the disastrous* Battle of Aubers Ridge (another 11,000+). His commanding officer “consider[ed] this a bad case of desertion and I recommend that the sentence be carried out.” And it was. Sands was buried at a nearby churchyard, but his resting-place was lost during the war. He has a marker at Cabaret-Rouge Military Cemetery at Souchez. 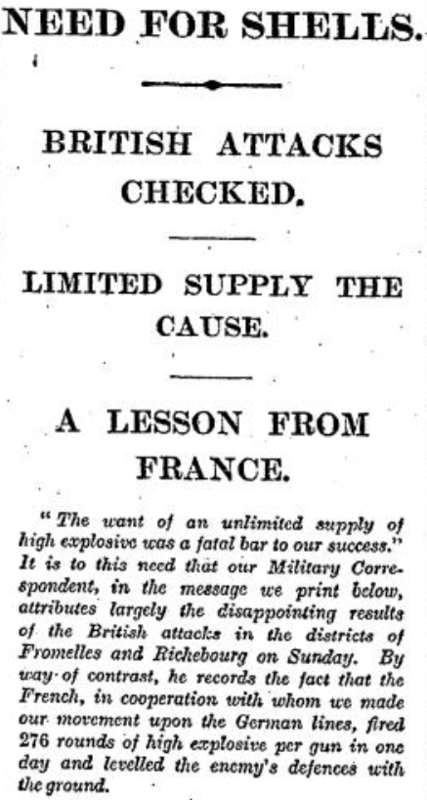 * The report of the Times from Aubers Ridge — headlined “Need for shells: British attacks checked: Limited supply the cause: A Lesson From France” — precipitated the “Shell Crisis of 1915”. On November 7, 1918, mere days before the end of World War I, British privates Louis Harris and Ernest Jackson were shot for desertion and cowardice. Jackson, of the 24th Battalion Royal Fusiliers, and Harris, of the 10th Battalion West Yorkshire Regiment, were the last British soldiers shot for military offenses in the First World War. Jackson had been conscripted into the military in July 1916 and sent to France in November. He first ran into trouble in April 1917, when he went AWOL for 28 hours and was sentenced to two years in prison. In most cases the sentence would have been suspended, but for some reason that didn’t happen with Jackson and he spent sixteen months behind bars before he was released and returned to his battalion in August 1918. A little over a month later, on September 29, he disappeared from his battalion transport lines near Flesquières, where he’d been sick and waiting to be sent to the field ambulance. Arrested on October 3, Jackson got sent back to the to the 24th Battalion, which was then at Noyelles, 3,000 yards from the front lines. By mid-afternoon he had dropped out of sight again, but was arrested by the military police the next day at Douellens. On October 8, Jackson’s NCO found his arms and equipment in a shelter not far from where he’d gone missing. The FGCM would have none of it and sentenced Jackson to death. He was shot at St. Python in northern France at 6:10 a.m. He was 32 years old. Nineteen minutes later and 25 kilometers away, at Locquignol, Private Louis Harris faced the firing squad. Harris had volunteered for the Army in 1915, but was discharged as unfit. He got conscripted in 1916, however, and was sent to France in July, where he served as part of a Lewis gun team. 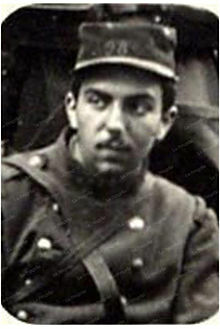 On September 2, in the middle of an attack at Rocquigny, while there was “no firing and practically no opposition,” Harris ditched his kit and his comrades and vanished. He was arrested the next day and faced an FGCM for desertion and cowardice. Harris — surprisingly … was not defended at his trial and made no attempt to cross-examine any of the witnesses, nor did he make a statement in his own defence. It would appear that the 23-year-old soldier either did not understand the seriousness of his position, or was resigned to his fate. His example is a disgraceful one. Harris’s execution was, as previously stated, the last. Four days later on November 11, the war ended and all death sentences for military offenses were commuted to penal servitude. In 1929 the death penalty was abolished for desertion and other military crimes. On this date in 1915, Private Herbert Burden was shot for desertion — at age 17, still too young to even legally enlist in the Northumberland Fusilliers he’d deserted from. A few months on into this less-noble-than-advertised perdition, with friends and comrades becoming burger meat all around him at the dreadful Battle of Bellewaarde Ridge,* the kid panicked and ran. 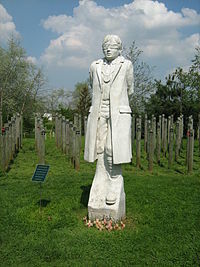 Burden is the “model” for the memorial statue a later, more soft-hearted British Empire put up in 2001 commemorating 306 British and Commonwealth soldiers shot during the first World War for desertion and cowardice. * Here’s a book about an Irish battalion that was nearly annihilated in the battle. Shot at Dawn memorial/Herbert Burden likeness photo (cc) Noisette. 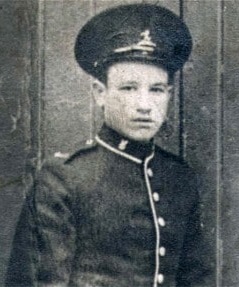 On this date in 1916, 19-year-old Durham Private William Nelson was shot for desertion by the British military. By gangs whose glory threats and slaughters are. According to the archive capture of the lamentably defunct Shot at Dawn site — which campaigned (successfully) for clearing the names of World War I soldiers who had been executed for military failings like desertion or cowardice — Nelson gave a pitiable account of his situation. It was less the horror of trench warfare and mustard gas than desperation on his own home front that undid Nelson’s “nerves”. * The title is a Biblical allusion to Jeremiah 51:20. As a slight stretch, part of the Themed Set: Thomas Hardy.